Great ideas and events are often birthed by a group of creative individuals and tastemakers who make up an ecosystem of talent. Detroit’s dance music community and history is one of the most rich, diverse and talent-laden of any city in the world! This community was created and is maintained by some and everyone – the dreamers and the promoters, the artists and the producers, the curators and the patrons, the master and the apprentice, the expert and the amateur ALL have the ability to contribute something to the community. Join the possibility. Join in on the fun. Share this event. Invite your friends. Bring the family. 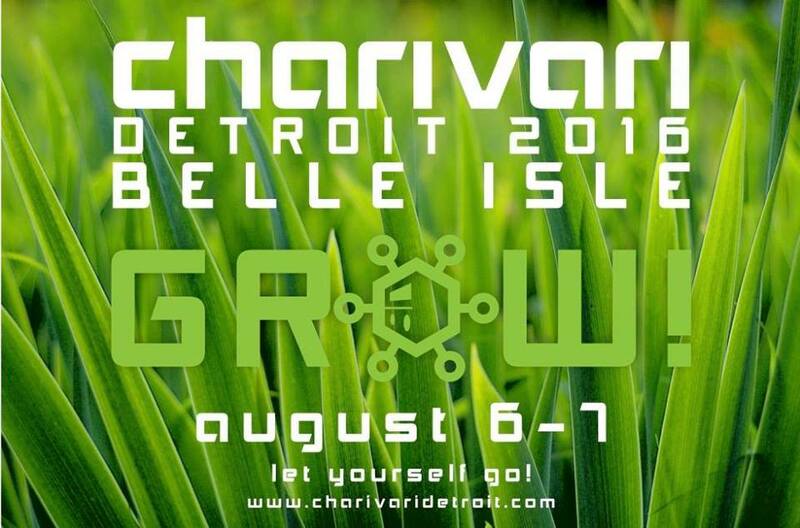 We need your support in making Charivari Detroit GROW! 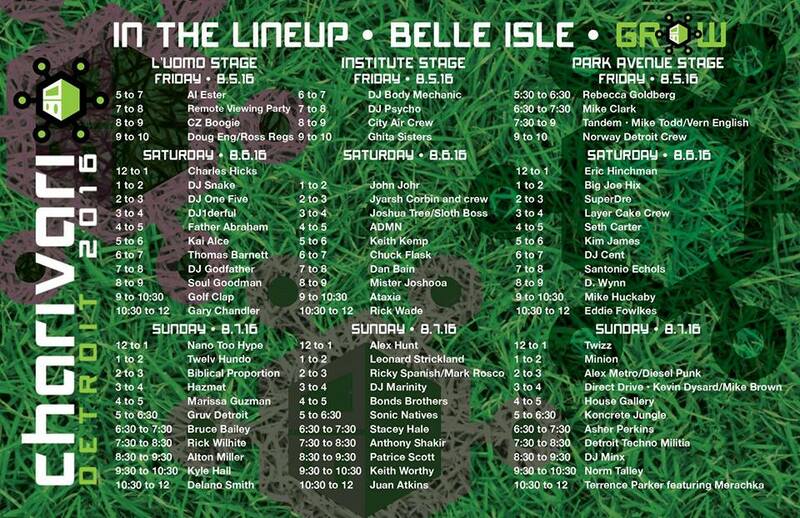 3 Stages of music until midnight on August 5th thru the 7th for you to Let yourself GO! Ages 16 and down are free as well as age 60 and over. 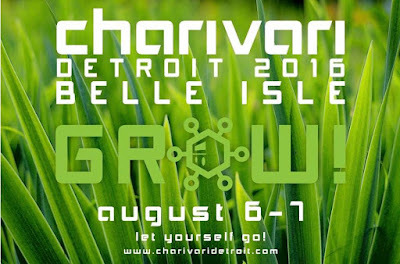 Charivari Detroit has curated the largest selection of Detroit DJs anywhere! 1. There is VERY limited parking near the event site. There will be official Charivari Detroit off site parking available just behind the Big Boy on Jefferson. You can turn down Helen or Canton Street right off Jefferson and you can park your car and be shuttled to the event site. Shuttles will be available at event end to take you back to your transportation. If you do take your car on the island remember there is an $11.00 recreational pass that must be paid to have a vehicle on the island. Do not park in any area marked as no parking. You will be tolled! 2. There is no food or beverages of any type allowed into the event grounds. All bags and persons will be checked before entering the site. There are food vendors and beverage tents to serve your needs. Alcohol and beer will be served. 3. You are allowed to bring your tents and chairs. No grills can be brought on the event site as no food is allowed into the site. 4. Pets are allowed as long as they are leashed and tagged. 5. You can ride your bike into the event and you can park it in the sponsored Detroit Bike corral and you receive a claim ticket so you can enjoy the event without worrying about your bike. 6. The event site is large and open and we are expecting high temps. Dress accordingly. This event will proceed rain or shine. 7. Friday there is no admission fee for anyone courtesy of the Detroit Free Press. There is no admission fee Saturday or Sunday for anyone age 16 and under and age 60 and over. Bring your kids, bring the parents. Bring everyone. 8. 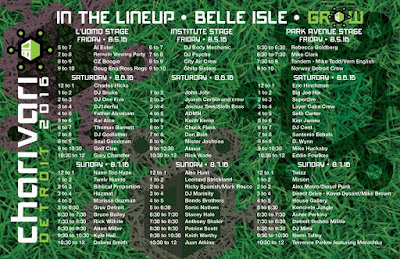 There are one-day tickets available for Saturday or Sunday for $30.00 at the gate. 10. Promoters – there are no flyers, posters and other promotional materials allowed into the event. Security will be doing bag, purse and backpack searches as well as your person. Please leave weapons and other contraband in your vehicle.